Using this question as an example. 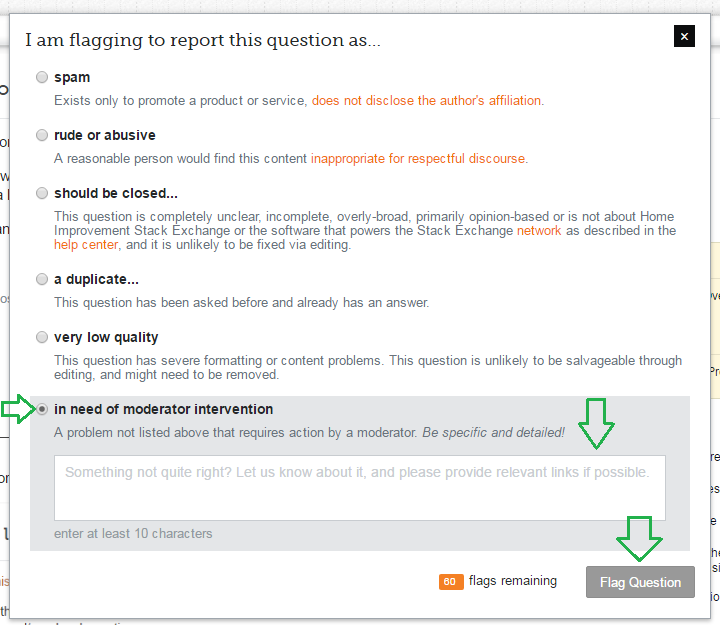 What is the best way to flag the question? Nothing seems to fit. It boils down to landlord / tenant relations and/or a legal question. Follow instructions above for voting to close. 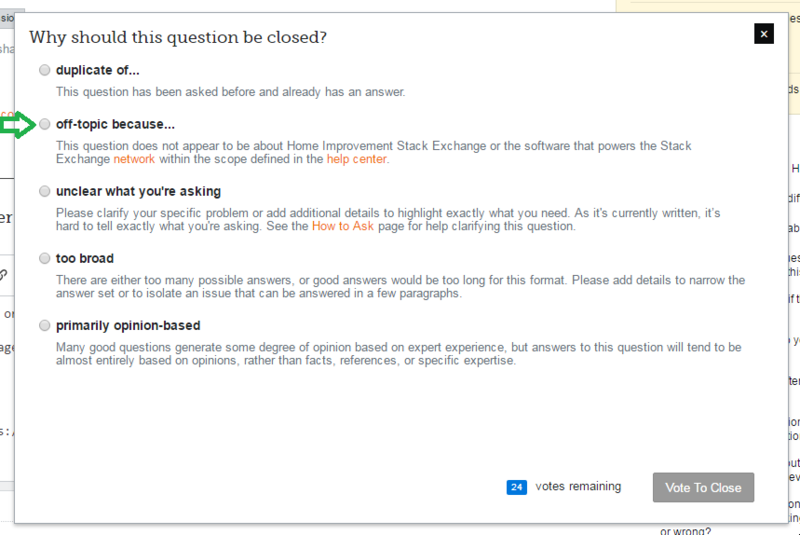 If you're a lower reputation user, and you don't have the other option for closing questions. 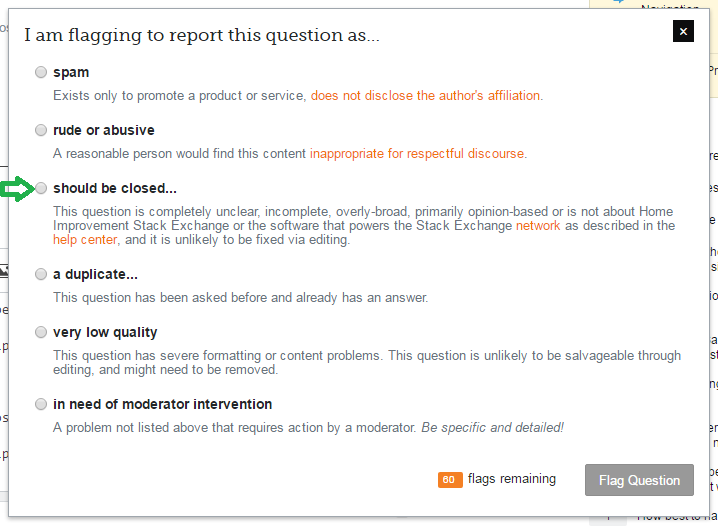 You can always simply flag the question for moderator attention. Something to encourage? Photos/followup to questions. 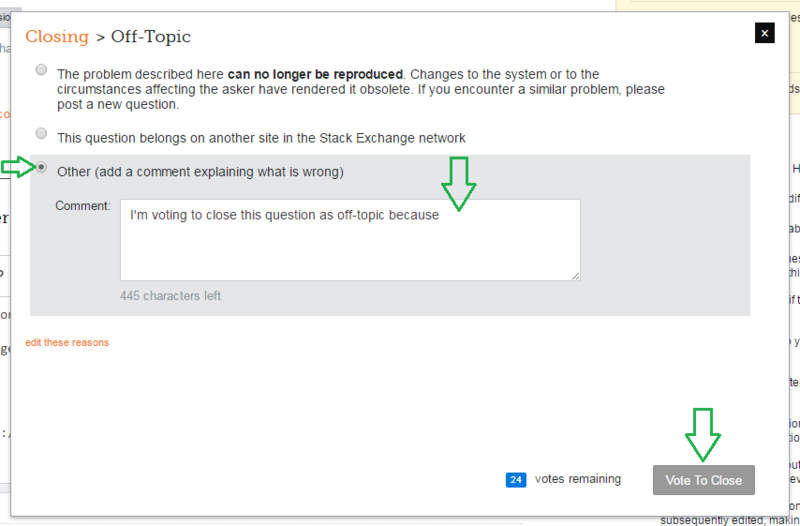 What should be done about abandoned questions that will likely never be answered? Closing old answered questions as off-topic? How should we handle questions when the asker is not in a position to provide more detail or enact solutions?